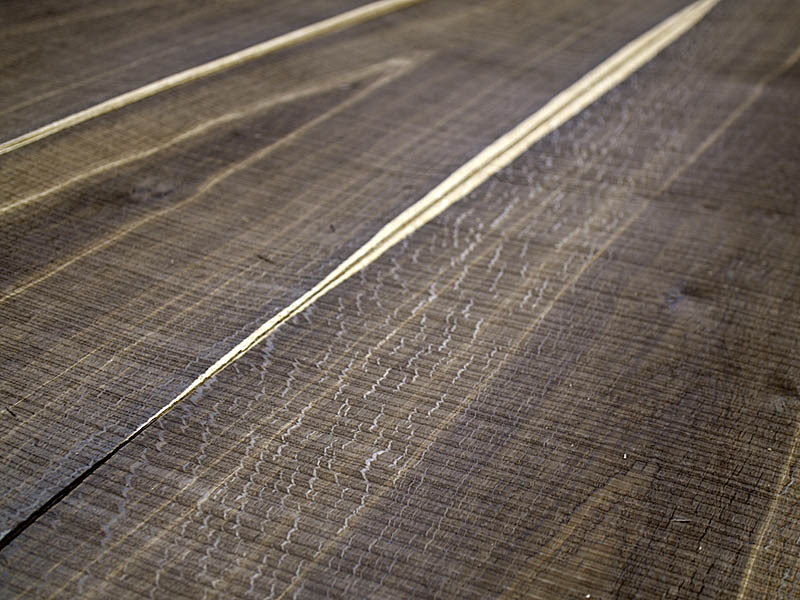 By contrast with classical Oak veneers, Oak Crown Cut Scratched Fumé is a product exclusively provided by CHANNEL VENEERS. Its tone and texture is warm, dark and rough. The decorative possibilities of this beautiful wood veneer are huge, as it is immediately recognised as a high quality noble wood at the same time that presents an original and innovative colour. It fits perfectly to restaurant and commercial spaces were the value of natural materials ought to be shifted. Crown Cut veneers of Oak are a classical decorative solution. It is a surface easy to recognise and very much appreciated in Europe. 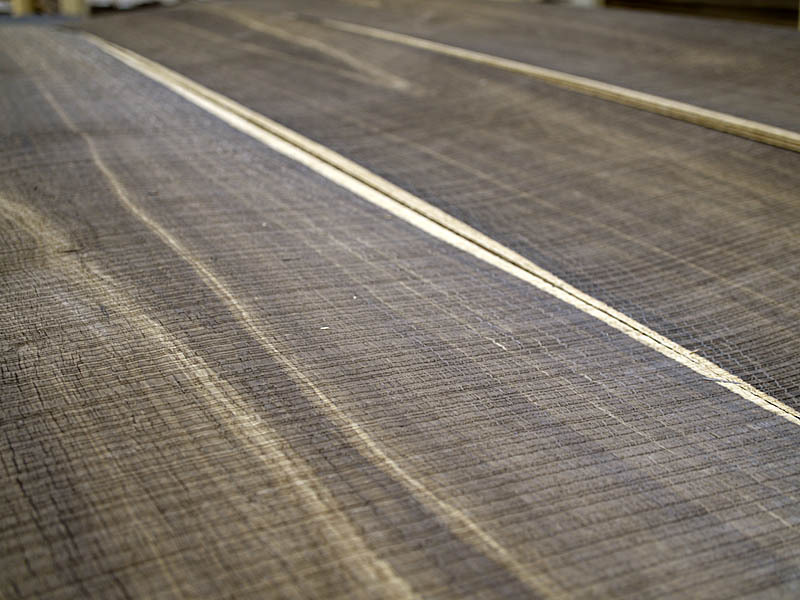 The grain and texture of Oak is easy to recognise and anticipates the good properties of that wood specie: durable, resistance and easy to work. CHANNEL VENEERS has developed innovative treatments to enhance the natural appeal of Oak veneers. One of those technical developments is the so called “Fumé”, a smoking process. By smoking wood, Oak turns to a darker and warmer colour. 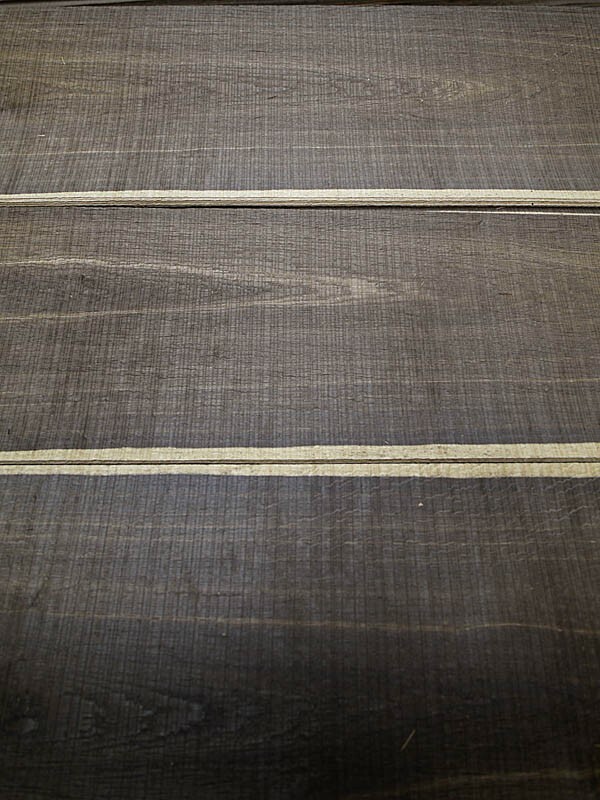 At the same time a higher contrast between heartwood and sapwood is reached. Oak veneers might also be scratched to define a rough surface with added shadows. As a result of this modifications, completely new Oak surfaces are possible as that shown above. 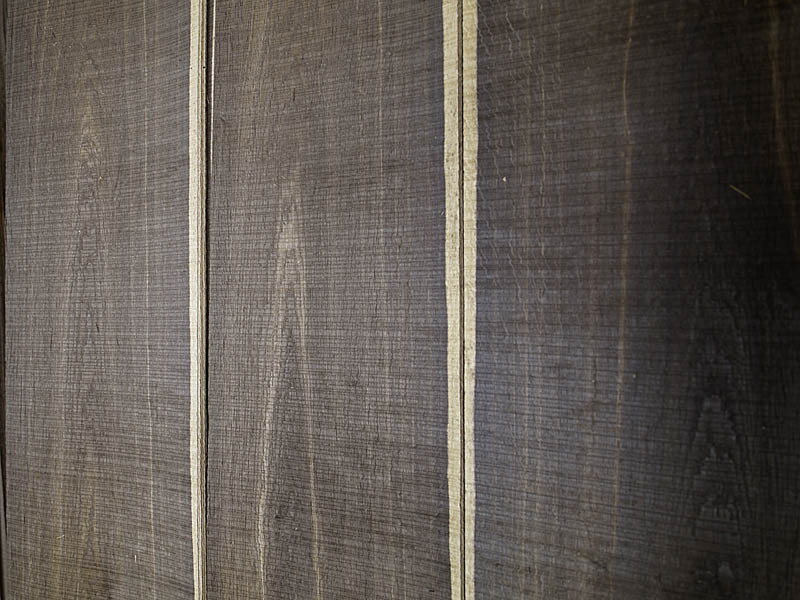 Oak Crown Cut Scratched Fumé is currently offered by CHANNEL VENEERS. Due to the cut direction, it is also possible to supply wide bundles as those shown in the picture above. Please take care that for special dimensions or large orders, production on request might be required. 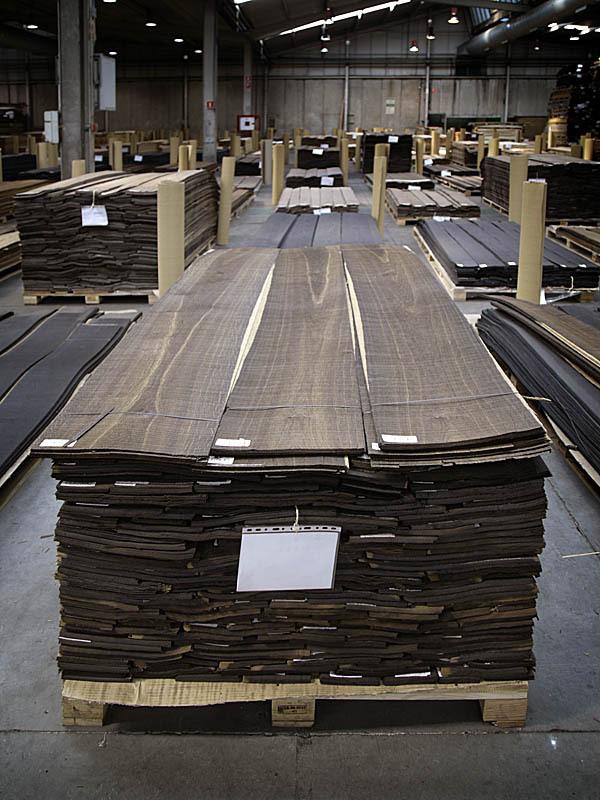 For further information related to this veneer or any other special Oak surface, don´t hesitate to contact directly with the company.